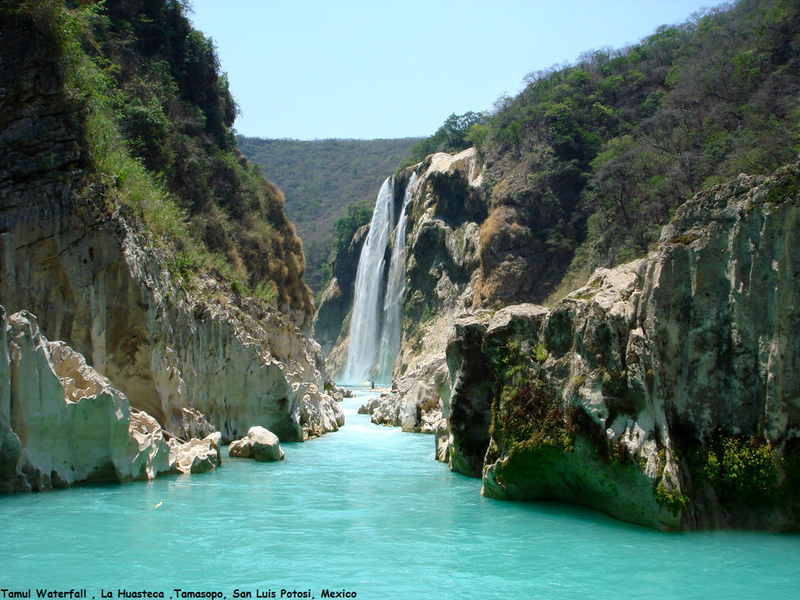 Famed for its turquoise water, Cascada de Tamul is the result of two rivers merging—the Gallinas River and the Santa Maria River—which create a 300-m wide waterfall. The best way to view the waterfall is from the river in a traditional wooden panga (canoe), which you’ll help paddle upstream. From the town of Tanchachin — about an hour’s drive from Aquismon — the Tamul Waterfall is about a two hour paddle by panga upstream; the return trip only takes 45 minutes. You can hire a guide in Tanchachin.